Its great to finally see Liam Parker’s story play out in full with this novel. We first met him in How To Play where he was an aspiring game designer and was attending his first GenCon. Quite unplanned, he got caught up in a murder investigation at the convention and was eventually hired part time by the con-committee to act as liaison with the local police given his recent graduation from police academy. It was a riveting adventure that really showed off life at GenCon and it really made me want to go to one myself. In How To Cheat we saw Liam level up and attend his second GenCon, this time as a game designer just putting out his first board game, thanks in part to a self-tuckerized Matt Forbeck who helped him make his debut and mentored him. Once again, Liam was involved in a murder investigation, all to do with Tollak Spielmacher, the overt villain from the first novel. And now, with How To Win things pretty much come full circle and this is the big showdown that Matt has been building up till now. With his third GenCon, Liam is now a bona fide tabletop game designer, having successfully launched his game Mojo Poker to great acclaim, with the possibility of even winning his first Diana Jones Award, which is pretty much the premier award in the tabletop gaming community. And things are about to get worse since a bitter Tollak Spielmacher is now going all-out to get his revenge on all the people who have looked down on him through the years, and he particularly wants to bring down Liam, who has thwarted him again and again. Its a lot to take in really. And Matt Forbeck never lets up. As with the previous two novels, the pacing for this novel is in overdrive from the get go. Things move rapidly throughout as we go from one situation to another. There’s the Diana Jones Award Party which has been the cornerstone opening event of the Dangerous Games novels from the start and has always had a bit of a fun tension to it. There’s Tollak’s court trial for his involvement in the murders at GenCon for the past 2 years. There’s the assassination attempt on Tollak. There’s the murder rampage through GenCon this year. And yes, its a hell of a murder rampage. Ultimately, while quite horrific in its effects on GenCon, this was the best part of the novel. You see, whenever there is a tragedy in real life, the community (or communities) that are affected always bands together. It supports the people who call that community its own and they face the adversity together. This is what Matt showcases in this novel. With killers running loose through GenCon, we see how the convention attendees react to all of it, especially when there is a hostage situation. 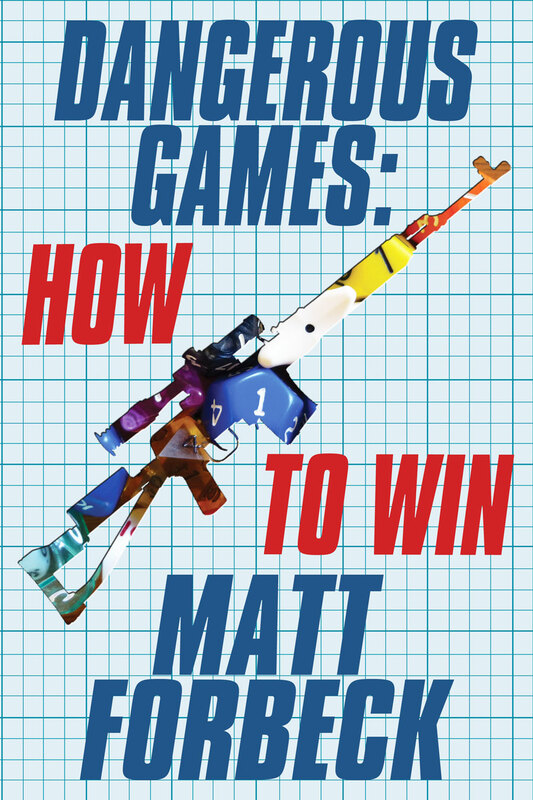 Matt has tuckerized a lot of well-known folks from the gaming and publishing industries into these novels and he continues that trend here, but he one-ups everything this time. For this time, we have some of the biggest geek celebs like John Scalzi, Wil Wheaton, Patrick Rothfuss, Felicia Day, Paul S. Kemp and many others who do their cameos. Through each of these characters and many others, people from all walks of life in the gaming industry, he shows how the community reacts to the villains in its midst. There’s a particularly heroic moment involving Wil Wheaton and Patrick Rothfuss that really had me fist-pumping the air. It is the kind of heroism that I’d expect from the man who used to play Wesley Crusher on Star Trek: The Next Generation. Paul S. Kemp, a New York Times bestselling author does his small part by sharing what he knows of the villains as they rampage through the convention. And it goes on and on. There are cameos and heroics aplenty in this novel. Of course, there is a body count in this novel, and its not pretty, not by any means. That is the saddest part of the novel, the most emotional part. Its hard to imagine really. Thousands of people attend a gaming convention, nerding out and geeking out with the best of them. And then suddenly there is a police car slamming through the entrance. Gunmen get out and start spraying the crowd with bullets. Hard-breaking really. All the same, kudos to Matt for writing such an unexpected story. When I picked up the novel, I had no idea that the story would become so personal, or so moving. But if there is one thing that Matt is really good at, it is at handling those emotional stakes so well. Nothing in the novel feels gratuitous or for-the-hell-of-it. Each event has an impact on the story and the characters. Even when someone dies, he treats it as a solemn moment, with consequences for the characters involved. What matters at the end is that this book is more than it seems on the surface. It has a lot of heart and it treats the setting with respect and shows it off in a great positive light. Which is all one could ask anyhow. Once again, this was an absolutely amazing way to end the trilogy and I’m really glad that I got a chance to read the novel. As with the previous two novels, the characterisation is spot-on and there is a wealth of geek material and references here to keep you busy for a few weeks trying to figure out all of them. And just a small point, but I am tuckerized in this book, which was all kinds of cool. No physical cameo, I get a name-check, but it was really cool to see that. Makes it my third tuckerization ever, which is super-cool, especially since all three were this year! You definitely need to be reading this trilogy. I enjoyed it, and I hope you do as well. More Dangerous Games: How To Play, How To Cheat. Posted on October 17, 2013, in Book Reviews, Review Central and tagged 12-for-12, Book, Book Reviews, Dangerous Games, Geek Convention, GenCon, How To Win, Liam Parker, Matt Forbeck, Moko Poker, Murder Mystery, Review, Review Central, Thriller. Bookmark the permalink. Leave a comment.